• Do you plan to study abroad? • Would you like to improve your success chances on the day of exam? • Perhaps you want to have an independent assessment of your English? Since 2016, the results of IELTS and TOEFL iBTmay be used instead of Year 12 exam in English for university admissions in Latvia. Enrollment in any of the courses offered by RBS English Language Center (except 1 day courses) is based on the placement test followed by an interview. 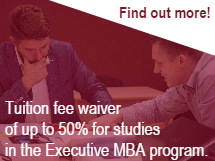 Tests and interviews are held at Riga Business school, Riga, 11 Skolas Str.